"Our" Cup fourth Chinese boiler accessories industry raw material procurement section hot opening - Company news - NEWS - Shanghai Qiaoh Industry Co., Ltd. Wonderful on stage again and again, the audience applause! 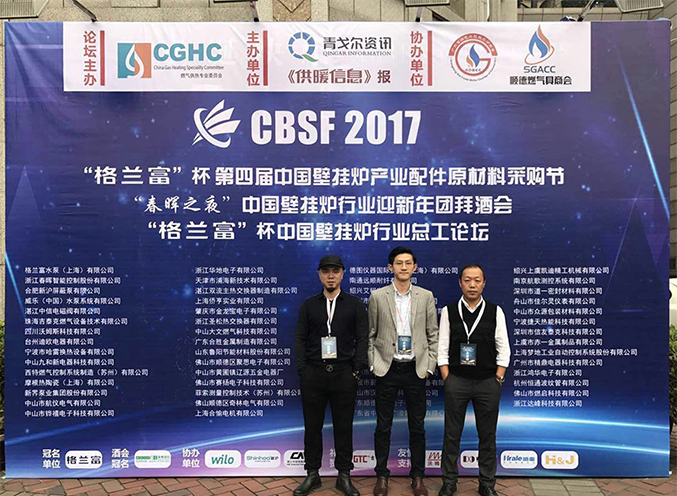 In December 21, 2016, the "Grundfos" Cup fourth China boiler accessories industry raw material procurement Festival officially kicked off in a round of applause and cheers, after accumulation and precipitation of the first three, the procurement section on the scale of a new high, the supporting enterprises more than 80, the domestic and foreign enterprises bigualu in 178, the number of participants up to 1200 people. Guests gathered in the grand meeting, and the bright spots were brilliant. China gas heating committee director Wang Qi pointed out in his speech: "the fourth Chinese boiler accessories industry raw materials procurement section not only in size even stronger, but also the necessary innovation in the model, each link to add a lot of fresh and bright color, hope through the purchase festival held, can find out a more reasonable way to solve the current practical problems encountered in the industry". Liu Hao, director of the China radiant heating and cooling Committee, also expressed good wishes for the success of this purchase Festival. Grundfos pumps (Shanghai) Co., Ltd. sales director Fang Yong and Zhejiang Chunhui intelligent Limited by Share Ltd vice president for Jun standard as the procurement section of the title and title of the reception unit purchase Festival successfully gave a high evaluation, and that in the future will still go on Chinese bigualu as in the past industrial raw materials procurement section for accessories support.